This class is open to children of all SSA regular membership types and SSA Junior Club Members. It is easy, and inexpensive to become a Junior Club Member simply by following this link Click Here. Children of SSA members do not need to become Junior Club members. Children of SSA Voting, Associate and Junior Associate members receive 25% off class fees. If you are a current club member, please email SSA Office Manager Catherine Bishop (office@severnsailing.org) to receive your discount code, then proceed with your registration. Adventure sessions are Monday-Friday 9 a.m.-4 p.m. This program offers week long sessions with each week having a special focus on non-racing experiences. 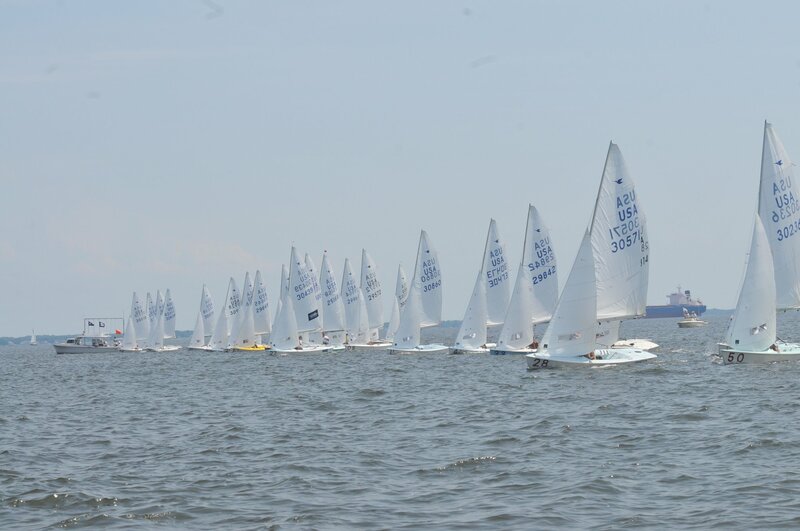 Each week is geared towards preparing sailors for a lifetime of sailing and seamanship on the beautiful Chesapeake Bay, while still enjoying the sport. Every session will begin with basic safety information and sailing introduction. Tuesday through Friday sailors can expect to learn basic seamanship in whichever boat they are sailing. Sailors will learn about working together as skipper and crew to move the boat upwind and downwind as well as the roles each sailor does. Sailors will work in a group to become comfortable enough to sail the boat around the bay without a coach aboard. This session is for sailors who have already done a session of Harbor Rookies or Beginner Opti and who enjoy being in a noncompetitive class. 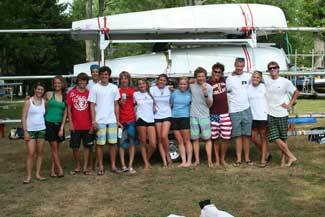 Sailors will go on adventures in an Opti around the bay and learn basic boating seamanship. They will also learn about the bay and what they can do to help save the bay. Sailing must have already completed a session on Basic Double Handed Sailing, Basic Keelboat Sailing, or a season of High School Sailing. In this week, sailors will learn about the spinnaker, what is does, and why it’s shaped that way. They will get to go out sailing with one and learn how they are made. Sailors will receive a commemorative gift for participating in the summer program. - Parents are required to sign their children in and out of the program when dropping off and picking their children up. - Please stay clear of the classroom area, allow the instructor to instruct and supervise. - There is no parking in SSA because the lot is limited. - If you want to watch your sailors, you may watch from the 3rd basin or from your own boat as long as the boat is kept away from and is not interfering with the lesson. Friday, July 20th, 2018 will be Mid-Season Awards and Friday August 17th, 2018 will be end of season awards. Anyone participating in the summer program is welcome to come with their parents and siblings. More details will be sent out during the summer. Any classes cancelled before May 16th will be granted a full refund (less processing fees), classes cancelled less than 30 days but before the 1st day of instruction will be given a 50% refund (less processing fees) and no refunds will be issued once class begins. Please note that the Junior Club membership is non-refundable. If you cancel your class you will still retain your Junior Club Membership for that year.